The story of Singapore Christian Home started in the 1960s where three Christian friends, Mdm Liew Choon Giok, Mdm Lau Kah Ying and Mdm Tan Kiat Jin wanted to spend the golden years of their lives together. Together with four other friends and sisters, they shared the private property at 972C Upper Thomson Road. It was a simple attap hut with three water wells. Mdm Lau later met an elderly woman on the five-foot-way in Neil Road and took her in. She became the first resident of the Home. Soon after, more homeless poor and needy in the Yishun and Sembawang areas were also taken into the Home; not just for shelter and food, but for healing of their physical and spiritual wounds as well. 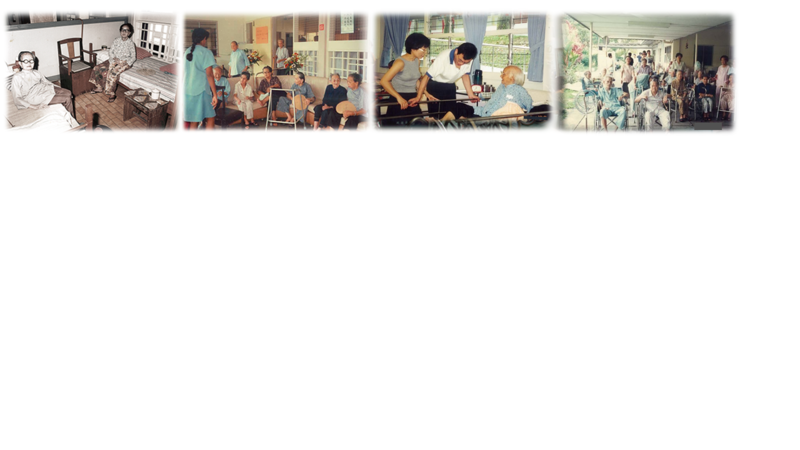 In 1977, the Home was registered as Singapore Christian Home for the Aged. It was a Home for the homeless, needy and aged women. Over the years, the Home had moved to a number of places including Queenstown (Buller Terrace), Ju Eng Home at Jalan Kayu and Jalan Tan Tock Seng. It took what it could to care for as many as 33 residents till the day they passed on/discharged. Before the Home was moved to its current premises in Sembawang Crescent, the bed capacity at Jalan Tan Tock Seng was 75. With the demand for nursing beds, the Home was approached by the Ministry of Health in 2009 to run a new 9-storey nursing home with 248 beds. In May 2013, the Home moved to 20 Sembawang Crescent and was renamed as Singapore Christian Home as it committed to care for people in need of nursing and medical care, regardless of age or religion. In the same year and for the first time, it started taking in male residents and offered respite care to the caregivers. For more than 50 years, Singapore Christian Home existed with a simple mission to shelter and care for the sick and needy. With no parent organisation, directors and members of the Home are drawn together by the desire and commitment to serve in love. Today, the Home is a home for the destitute and low-income male and female residents aged 17 to 105 years who are in need of mid to long term medical and nursing care. Besides medical and nursing care, the Home provides rehabilitation and social activities so as to ensure the residents recuperate well and enjoy their golden years at the Home.